The new Wave Stealth V is the most stable and cushioned handball shoe Mizuno has ever made. We know all about the constant physical battles pivot and backcourt players are involved in during a game. So we understand they need a shoe that offers superior stability and support, but one that’s also lightweight and provides supreme comfort. Every component of the shoe has a purpose. Mizuno Wave technology delivers excellent all-round stability and enhanced midfoot and lateral support. The external heel counter provides hold and stability for a snug and secure heel fit at all times. Not only does this shoe fit extremely well, with its sleek silhouette it looks as good as it performs. Despite these added features, we haven’t added to the weight of the shoe. In fact, we’ve made it lighter than ever. The shoe weights just 320G and helps you to Reach Beyond your next goal. What makes the Wave Stealth V so stable? The answer comes in the form of a lightweight engineered external heel counter, designed to provide the optimum fit and secure feel by wrapping around your heel and keeping it in place to support the ankle during lateral movements. An innovative half-bootie construction provides comfort from the inside-out, with an additional synthetic tongue top in the forefoot and midfoot areas to deliver a stable, wraparound effect. 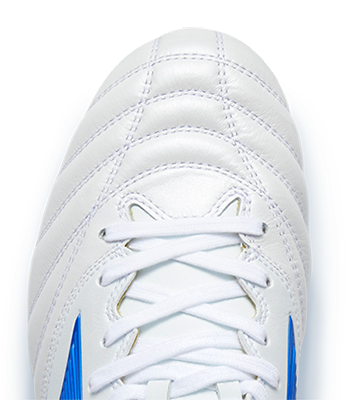 It’s a shoe that’s noticeably softer from the moment you slip your foot inside which, for a handball player, is a quality that’s hard to beat. Superior stability and support, lightweight construction and extreme comfort; this is what makes the new Wave Stealth V an outstanding shoe for our athletes. The outer heel counter provides hold and stability to maximize power transition, whilst dynamic cushioning helps the shoe fit better and carry a sleek silhouette. The multidirectional mesh further enhances the support whilst maintaining a lightweight, comfortable feel. I’m very comfortable with the Wave Stealth V handball shoes and they are very stable. 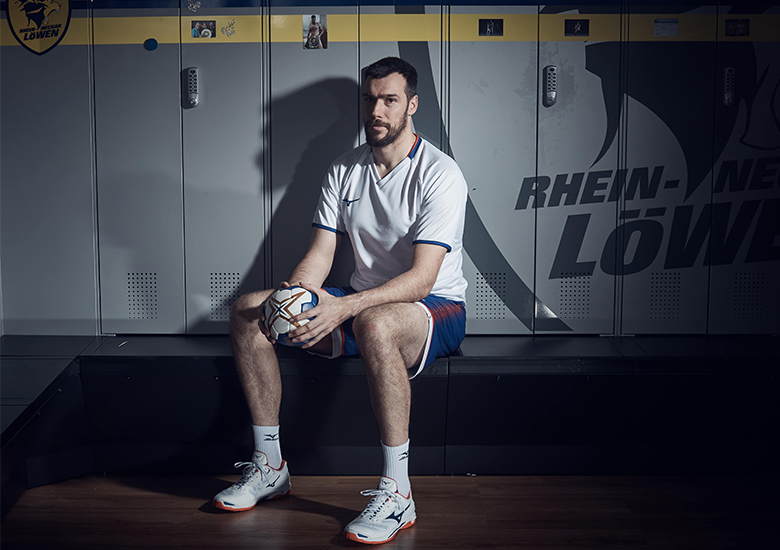 I like them because also for a 105kg player it gives a lot of stability and when we make changes of direction, where the ankles suffer a lot, I feel that the foot is safe. It gives me a very good and safe support when I play. The progressive and modern design of the Wave Stealth V is influenced by the challenging brief we set ourselves. Could we design a handball shoe from soft, light materials that was open and also stable? Our design inspiration came from looking at nature. By observing a canopy of trees in a forest, we noticed how the canopy structure both protects the flora and fauna, and still allows the rays of the sun to pass through.